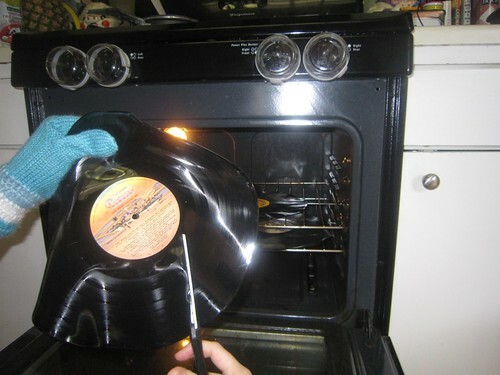 I Love to Create – Happy Father’s Day to the Vinyl Record Lovers! Father’s Day is right around the corner, which means I am putting my crafty thinking cap on. Last year I made a customized 6 pack of beer which was a big hit. Today I have project on Craft about how to make etched pint glasses for dad with pictures of his kids (four and two legged). All that was left in the equation was a set of coasters. 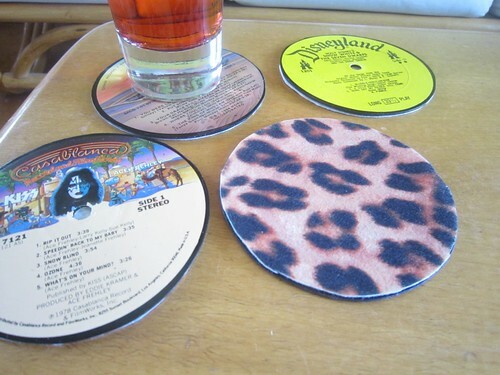 Coasters are a little fussy for our house, so I needed to make them a bit different to fit in. Remember the Musical Mustache Masks I made? 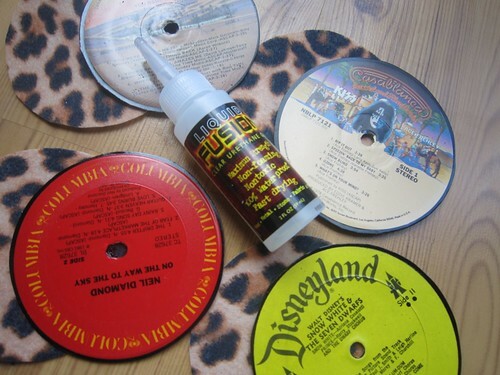 I had tons of vinyl records left over. I made jewelry with some and a clock with others, but I still have several to spare. 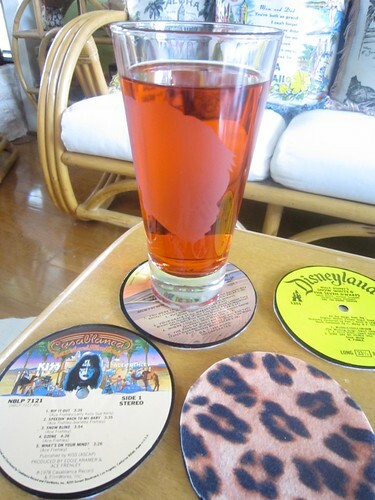 The only thing Chris loves more than a cold glass of beer is the warm crackle of a vinyl record – why not combine the two! 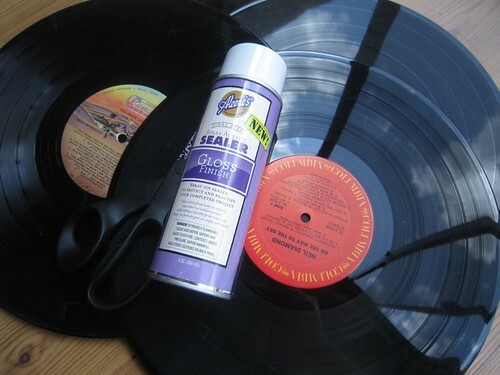 Take your coasters outside and spray with Aleene’s Spray Acrylic Sealer. Apply two coats allowing to dry completely in-between. 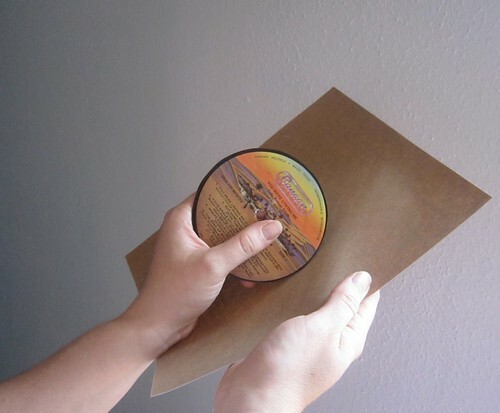 This will help protect the label on your coaster from condensation. 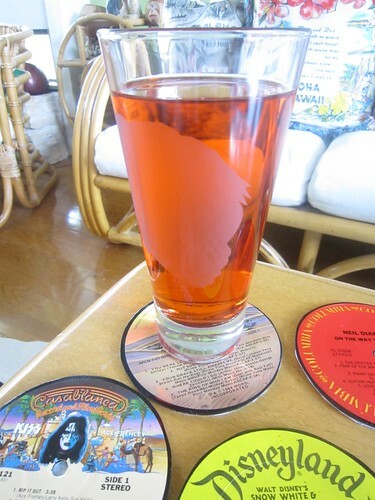 Set your ice cold beer, Big Red or water on your coaster and don’t think another thought about table rings. Lord knows dads never did anyway. What are you making dear old dad this father’s day? 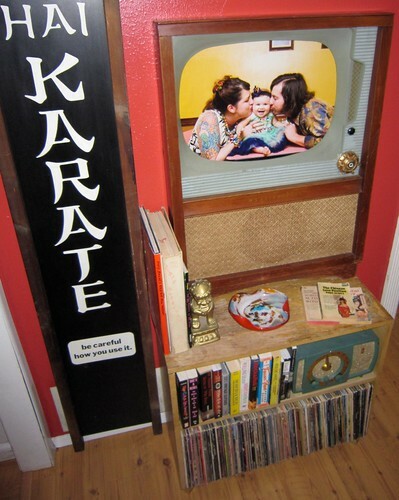 Posted June 10, 2010 & filed under Crafts, Crafty, Father's / Mother's Day, Holidays, I Love to Create, Music, Recycled Crafts. Great project! I just wanted to let you know that we featured this project on our Facebook page with over 15,000 fans. We’d love it if you’d use our Featured Blogger button, available at: http://www.dailycraft.com/thank-you-for-crafting/. Our audience loved the project and we look forward to sharing more from you. Please let us know if you have any questions or projects you’d love us to feature! Thank you so much! My boyfriend is an artist and is in a band with an extreme variety of music styles . I could not decide what to get him for his B-day. This will go so good with the decor of his house. I think I will try to make a serving bowl out of one of the records as well.Thanks again!! !